Strengthen Allies by Merging Them! Even Heroes have their limits, and eventually, they’ll exhaust their natural potential to grow stronger. But there is one way to bend this rule of nature: merging allies! M-Merging?! That sounds pretty incredible! That it is! When you merge allies, you can bring together multiple incarnations of the same Hero to form a stronger single ally. In other words: summoning multiples of the same Hero presents a golden opportunity to make that Hero even more powerful! Well, I guess I have a new goal, then! 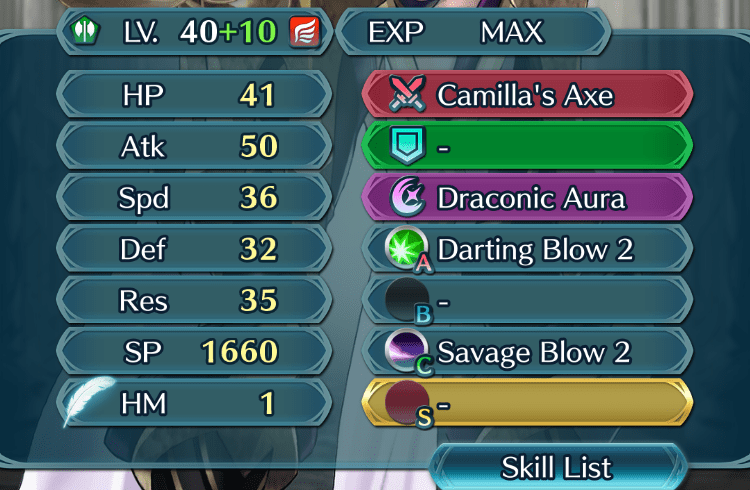 I’m going to find another Sharena and make her merge with me! Select Ally Growth → Merge Allies to get started. Place the target ally for the merge in the Enhance slot and the source ally in the Lose slot to grant the target ally increased stats and SP. Bear in mind that the source ally will be lost permanently, so be very careful when you’re choosing who to merge! When you merge allies, the target ally (in the Enhance slot) will inherit all the unlocked skills of the source ally (in the Lose slot). This includes skills that the source ally hasn’t learned yet, as well as skills they have inherited from other allies. As such, you won’t waste any of the source ally’s inherited skills when you merge them, and you’ll even be able to give a 4★ ally the weapon skills of its 5★ version. This is helpful to keep in mind when you’re boosting a 4★ ally up to +10. If the source ally’s ★ rating is not equal to or higher than that of the target ally, merging the two won’t grant the target ally a simultaneous boost to their stats and SP. Merging a source ally with a lower ★ rating will only grant SP—so again, check carefully before you merge! 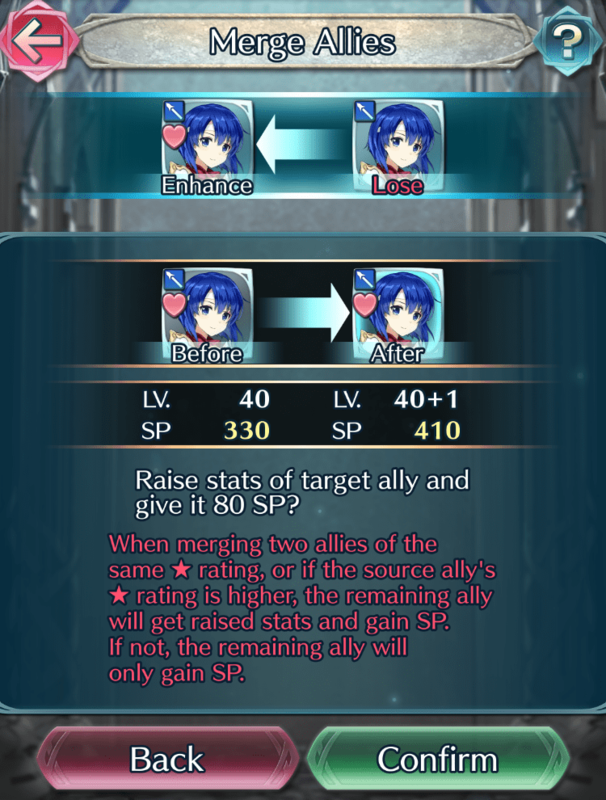 Once you merge allies, the number of times the enhanced ally has undergone the merging process will be indicated to next to their level with a +, up to a maximum of +10. If you have a favorite ally that you summoned at a 4★ rating or lower, try unlocking their potential and merging them to eventually boost them to 5★ +10. While this process requires a large investment of badges and Hero Feathers, in addition to multiple copies of said ally, you’ll be rewarded with a powerful asset to your team who has +4 to all stats compared to their normal 5★ stats.